Inspiring K-12 Students to make the world a kinder place! Inspiring K-12 students to make the world a kinder place. “Don’t wish for a better world. Go out and make it happen – one kind act at a time…” – Richard E. Specht Jr.
Rich’s presentation will leave your students and staff with the proof that kindness is the world-changing superpower we all share. 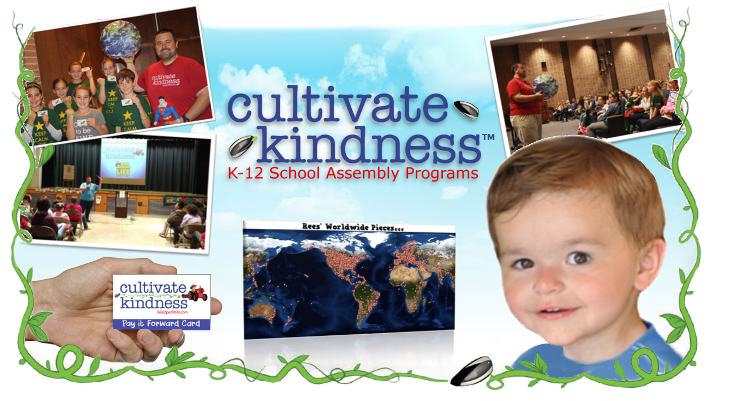 Cultivate Kindness™ is a program provided by the ReesSpecht Life Foundation. The funds raised from the shows help to support our charitable endeavors!